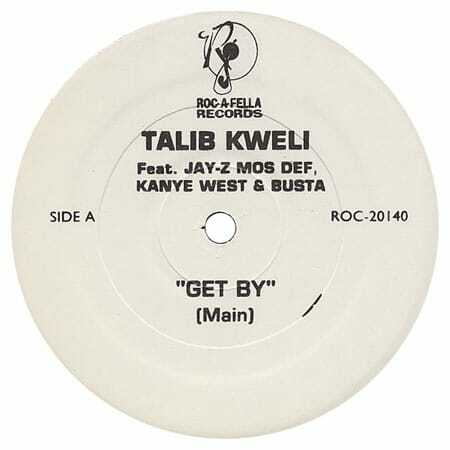 “Then I was trying to put out ‘Get By,’ but by that time Geffen, the mother label was kind of done with the project. We put out ‘Good To You,’ we put out ‘Waitin’ for the DJ,’ they didn’t really crack, so they weren’t checking for ‘Get By.’ That was really the motivation behind saying it’s an underground record. “So me and my manager pressed up some copies and we hired independent radio promotions. Enuff was the first DJ to really get behind it. Once Enuff got behind it, the whole L.A. Power 106 crew got behind it. Certain key DJs got behind it in key markets and it took off. Once he said that I started thinking like, well how much is it gonna be? Jay hit me and was like, ‘What I charge people to get on records, your label’s not gonna be able to pay. So I’m not gonna be charging you for this.’ But a couple months had gone by and he hadn’t done it. So I’m like, it’s great that he’s not charging me, but is he gonna do it? I don’t know. “Once he said that I started thinking like, well how much is it gonna be? Jay hit me and was like, ‘What I charge people to get on records, your label’s not gonna be able to pay. So I’m not gonna be charging you for this.’ But a couple months had gone by and he hadn’t done it. So I’m like, it’s great that he’s not charging me, but is he gonna do it? I don’t know. Lyor Cohen sent a Cease and Desist out for the record like, ‘Why is our main Def Jam artist, Jay-Z, rapping on this underground guy’s record?’ That’s why there’s no official copies of that remix and it never officially came out. “That same night, Yasiin came over and heard Jay on it. Yasiin was like, ‘Yo, I should get on this.’ I was like, ‘Listen, I appreciate it, but I really want this to be me, Jay-Z, and Busta.’ You know, in my mind, people have already heard me and Yasiin, people don’t know Kanye like that. I was really trying to micromanage how I wanted this record presented. I wasn’t really understanding that the record was so powerful, everybody just really wanted to be on it. “I left the studio and Kanye and Yasiin both recorded their verses that night. I heard it and I’m like, ‘OK that’s cool, this can be the third remix; the Kanye and Yasiin Bey version.’ The day after they recorded it, Kanye took it to DJ Enuff and they played it on the radio.